A Perfect Closet & Cabinets was founded in 1998 in Orlando Florida. During that time, Master Woodworker Leonard Morreale has successfully remodeled many kitchens, refaced many cabinets, custom designed numerous closets and provided Central Florida homeowners from Orlando, Winter Park and Lake Mary to DeLand, Ormond Beach and New Smyrna Beach, FL with more organized space for their daily life. 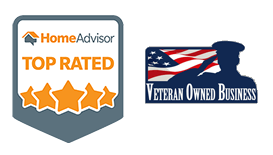 As a family owned business, A Perfect Closet & Cabinets has a great advantage over their competition; you deal directly with the owner. This gives A Perfect Closet & Cabinets the flexibility to evaluate, design and custom build kitchen cabinets, closet systems and pantry shelving to your specifications and needs. “Our company has something the big companies don’t” says Morreale “We have the ability to build what is needed for the customer’s space; we don’t just fill that space with what was pre-built at a factory. We recognize that no one cabinet fits everyone’s needs and we wonder why all the other companies keep trying to make that model work.“ One other thing you can expect from everything built by A Perfect Closet & Cabinets is that everything is Proudly Built in America! 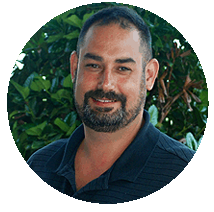 Mr. Morreale has received many accolades from his peers over the years and has earned national recognition ranking him in the top 10 professional woodworkers in the United States. When interviewed Mr. Morreale went on to say “When you love what you do, it is no longer a job.” His talent for design, and his work attention to the details, certainly has earned his place among cabinet industry. When ask about his favorite part of the business he replied “When a client gets to see the finished product for the first time, and you see their eyes open wide and they say “it’s incredible”, that’s my favorite part”. For more information about our cabinet refacing, closet systems, kitchen remodeling, bath remodeling or any of our other custom cabinet or woodworking services work please contact us at 386-734-1313 or visit our appointments page to schedule a visit.